From search engine marketing (SEM) and search engine optimization (SEO) to social media and email, Web workers use a variety of tools to build and sustain website traffic. But knowing what is actually working to achieve these goals (Web-wide) is important not only for accurate budgeting of time and money, but also managing stakeholder expectations. Optify’s recently released 2012 B2B Marketing Benchmark Report can help. 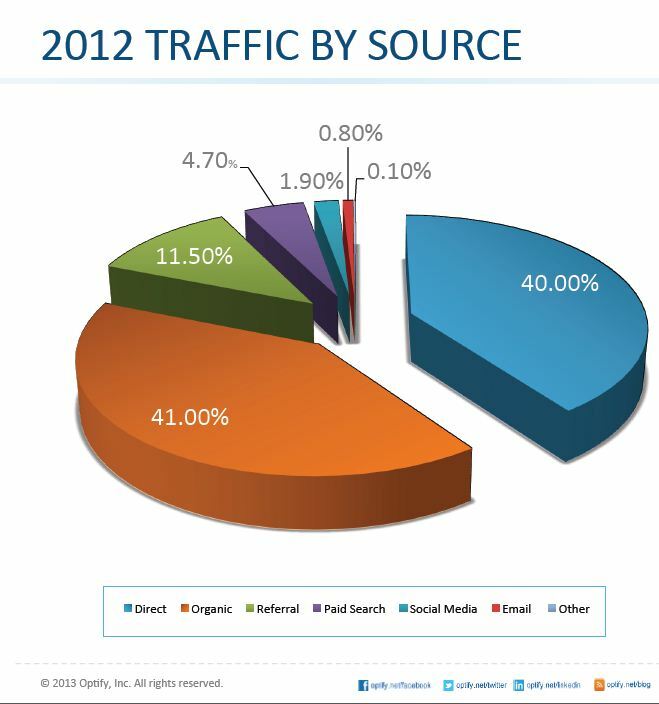 The company analyzed more than 27 million visits to nearly 600 B2B sites from various traffic sources throughout 2012. “We weren’t shocked at the data, but we were surprised,” said Optify Chief Marketing Officer Doug Wheeler. 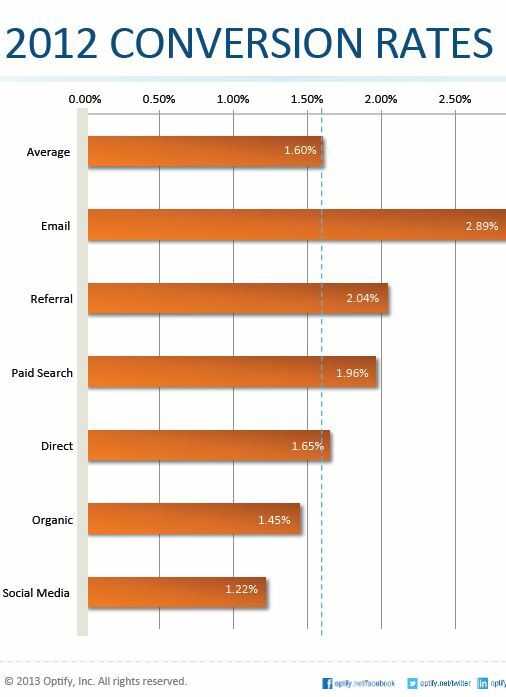 The first takeaway is that organic search serves as the number one driver of traffic to B2B websites, followed by direct traffic (40 percent) and referrals (11.50 percent). The report also finds that despite the increased adoption of social media by B2B in 2012, itʼs still only a fraction (1.90 percent) of total traffic to B2B websites. It is important to note, however, that the report also found that Google is responsible for nearly all of organic search, making it the single most important referring source of traffic. Very soon on the horizon, Wheeler expects seeing analytics, around what traffic is coming to your site, moving from free to paid. Understanding and optimizing everything Google is going to be imperative, but Web workers also need to find out if paid search makes financial sense to their companies. Optify also looked at sources for converting traffic. According to Optify, the average conversion rate among all B2B websites in the report, across all sources, was 1.6 percent. Additionally, email shows the highest coversion rate compared to all other sources. “Surprisingly, organic search, the number one drive of traffic, is at the bottom of the conversion-rate list, second only to social media among the sources with lowest conversion traffic,” read the report. And while the report states that only 5 percent of B2B traffic comes from social media, Twitter outperforms Facebook in terms of lead conversion by more than a 9-1 ratio. Why does Twitter convert so well? “In reading this report, you might discover that you are doing better or worse than the published benchmarks and discover areas of potential for your marketing activities,” said Wheeler.